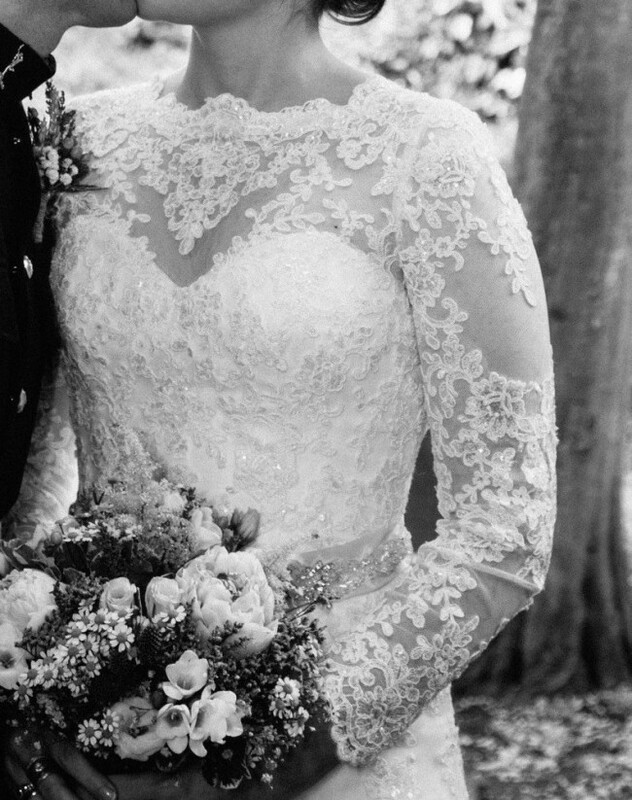 This was my dream wedding dress and it’s very hard to part with it because it is the most beautiful dress I have ever owned but I want someone else to enjoy it and love it as much as I do. It has lace sleeves and all over lace which is also embellished. It has a belt with beading too to nip you in at the waist. It has a sweetheart neckline (under the lace) and a slight train. The back is beautiful and has buttons leading up to a stunning lace back, making this dress amazing from every angle. It is just beautiful and flattering and amazing and I hope whoever gets it next enjoys wearing it as much as I did. Slightly let out at thigh to allow for easy sitting. Ivory silk ribbon sewn into back of lace at neckline to prevent scratching.